Recently, readers may have noticed that I have not been as prolific with blog articles as I have been in the past. 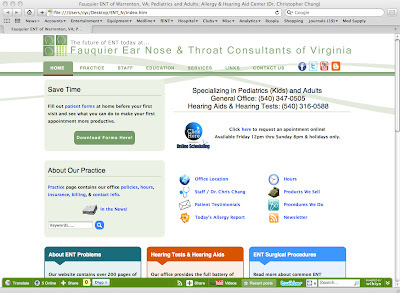 The reason is because I've been in the process of overhauling the our practice's official website (www.FauquierENT.net) to the latest and greatest in webpage coding incorporating HTML5 and CSS3 standards. 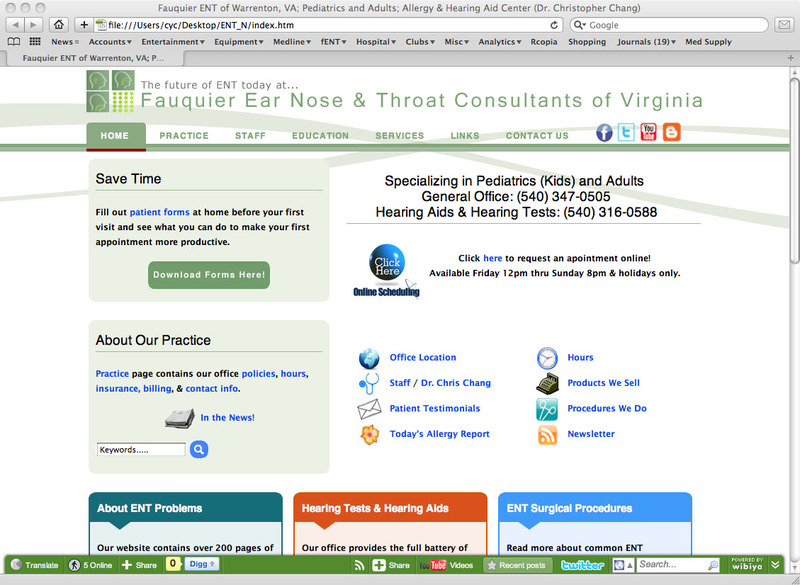 Given the official practice website contains over 200 webpages... it just took a very long time and I required the assistance of Chris Ferrell with Pettygrove Full Creative Agency to make it a reality. BTW... I highly recommend him if you need a website or extensive website rework. The website is best viewed using the most recent version of your browser whether it be Internet Explorer, Safari, or Firefox. Older browser versions will work, but just won't be as pretty and formatting may be slightly off.